Thanks Nelson for the updates.. always nice to have advanced notice. What would be really great is if everyone could purchase Homesteads. You mention Customer Support.. which support is that? Phone, live chat or ticket? Who will be handling it? Do you know when or if Concierge will be answering phones again? Thank you. Please explain what you mean by a renewal of an educational or non-profit private region. How is a renewal different from making a regularly scheduled annual or semi-annual payment? Doubling the price of regions for nonprofit and educational use strikes me as a really bad idea. Do we really need a mass exodus of these important members of the Second Life community at this time? I'm sure it goes without saying, but this is a disasterously bad policy change with far too short notice. For all the grant funded edu and non-profit projects, two months is a very short time to deal with this. 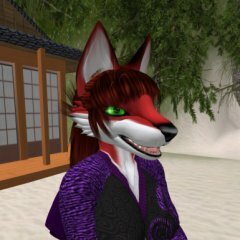 Are you trying to hasten the exodus to OpenSim? Whereas i appreciate the long term commitment for retail customers I'm a tad concerned about the short notice for education customers, couldn't you have at least given them until the summer as schools plan for the school year and their budget would be based largely on current costs. Ah sorry, renewals will be at the new rates, hopefully then they will all be renewing in the summer, it's still a blow but not as big a blow as I first thought. I'd say that about 75% of all educational or non-profit organizations will leave next year. As someone renting close to 1/4 of a sim on a private island, I am glad my own rent won't be going up. As someone who has several education clients, I guess I will be seeing them leave the SL grid soon. There is no way that a Homestead or OpenSpace sim can possibly meet their requirements. Doubling their overhead costs without sufficient time to get new funding will force a lot of sim shut-downs. You ARE aware that most educational organizations have budgets that are cast in stone for the entire school year? Double their pricing in January, and there won't be sufficient funds to make it through June. And they won't have a new budget until next September. I am very glad now that my biggest education customer has already had me re-create half their SL grid sims on their own OpenSim servers. I'll get to work right now on the bid to re-create the other half of their SL sims there, so they don't have to lose those facilities when you double their rent in the middle of the school year. Ah well Linden you have finally made the decision that tips the balance for us. I have been hanging on in SL as I still truly believe in the value of the educational community that has been built here but over the last few months it has become increasingly difficult to justify not moving to OpenSim. This however will be the final straw as I see no way that my institution will be able to justify paying double the price for our two islands. Fortunately we still have until Aug 2011 but I suspect we will be long gone by then! And of course, I will have far less reason to remain in SL personally too now - I have already cut my mainland space drastically - looks like the rest will be going too in the near future. Oh and then there are the students (prospective residents) who we will now no longer be bringing in to SL. Linden - I just don't understand the logic in your new business model - It was great to be a part of the early years and I will be sad to see its decline but I realise that you want us educators out for some reason and now its time to move on. All of this price increase after next year and before is nothing new for LL. Honestly,they could care less about your finacial plans. All they want is your money and then leave you on your own. LL is nothing but pure greed and it never stops. I have done alot of work for several major Universties in SL and I am in the process of helping them move to a diffrent grid where they dont have to worry about BS like this AND still be able to do just about everything they were able to do in SL for a fraction of the price and ALOT better service. SL is falling on it's face. If it is lucky enough to be here in a couple of more years it will be like ghost town. So I moved on..closed my stores in here after 5 years and cashed out and went to much greener and better pastures..just like some major Universties are doing that have already spent countless thousands of dollars in here and then got thrown to the wolves wanting even more money. Well this is a smart move if any. It was the non profits and educators that wanted the kids on the main grid. The slight increase I take it is to pay for the added security programming that is needed? Oh dear, this is very bad news. Budgets for educators are often set well in advance and in some cases very fixed even looking across a grant period of some years. In our case I have just negotiated funds to renew some of our regions from 12 months from now, so changes on a short time scale that double prices are quite a shock. In one case I have funding fixed for 2years out too. We would like to retain our regions but this can only mean that we pack things up tighter on less regions to keep the costs the same as budgeted.That itself causes work and remodelling which is most unfortunate. But I guess this is a done deal... Our nice archipelago and fancy coastlines will have to go leaving things much more utilitarian. I guess we need to form communications channels so educators and nonprofits can collaborate and build the best possible systems on other grids. Suggestions for blogs to watch are welcome. We are also going to want to know which content creators are willing to allow us to bring their content onto other grids so we can rebuild. As one of your Educational customers I am furious! Fiscal Year Budget planning and approval happens in Aug-Sept for most Universities then you make an announcement like this in Oct!! I just had my budget approved 2 weeks ago and now I gotta go beg my superiors to approve an increase to the budget despite budgets being cut on every level of the University due to the economy. All of our sims exceed the maxium capabilities of Homesteads and OpenSpaces so there's no way we could use them. You're really pushing Educators out the door to OpenSIM. Why at all now this here ? I´m workin for an non profit organisation in SL and for the owner of the sim it´s hard to handle the costs every month, with double the costs the sims must close because noone of the team is able to spend the money to let the sims stay online. Kickin off people that are workin for the comunity only is a good way to clean the grid from the users. I think we won´t be able to stay as the team we are on own sims after that new pricing. "Your World , your imagination" that´s been the reason for most of us to come to sl and stay here. I hope that this is a bad dream and I wake up tomorrow and see that it´s really been a dream. Actually the Educators and Non-Profits did -NOT- want their kids ont he Main Grid. LL is mearly cutting costs of maintaining 2 Grids at the expense of Educators/Non-Profits and Phillip admited that during his talk at SLCC. If you understand the permission chaos to transfer assets out of SL, I would like to hear about it. Thanks. Nany you can only transfer things out of secondlife that you created yourself full perm items that you created. You would need to talk to various creators to see if they would allow you to use their textures, or scripts on other sites or invite the original creators to the grid your going to in order for them to reimport their content over there for you. I've spent the last couple of years trying to get colleges in my area interested in the incredible opportunities for education in SL. And wouldn't you just know, about the time I've gotten them talked into budgeting for a couple islands, LL decides to up the price on us. LL has been making a lot of unpopular, illogical, moves in the last few months. But, I've got to tell you, at a time when educational institutions are putting freezes on salaries, and cutting back on everything not absolutely essential, this is most moronic move that I've seen LL make. Assuming that the management of LL is not as clueless as this decision makes them appear, I can only surmise that they are trying to encourage educators to go elsewhere. I'm wondering whether the "suits" running SL are completely ignorant of the fact that universities run on an academic rather than calendar year. I guess this means a diaspora -- whether it's possible to manage such things remains to be seen. What sort of spirits are they drinking these days at the Lab? Well, now, another smart move by LL.... goodbye to many of us educators, and this is going to fragment and destroy our SciLands group in SL. Very thoughtful. Let's test the boundries of profit in this shrinking virtual world. I guess we will be moving on. The University of Auckland in NZ have been actively working on an education hypergrid linking education sims and the SLENZ blog keeps an eye on happenings there. It is not confined to NZ and I believe is now working with at least two US universities. Before, I was just confused. But now I'm beginning to suspect actual psychotic afliction. You are putting yourselves and all of us in grave legal danger to bring the teens into the main adult grid, principly for the educational access. Then in the midst of a global depression which is drying up education funds and causing school closures and teacher layoffs, you double the price for these sims where these precious snowflakes are supposed to be going?! So you are driving the educators away but leaving us regular customers with the kiddies -- kiddies that we never asked you to bring into the adult grid in the first place?! Here is a hint guys. You have to pay for all those servers whether you have customers paying for them or not. Correct some of the policies that have made people quit and lower the prices a small bit, and you'll have customers paying for the servers once more. Restore "ownership within SL" to the TOS and people will be more willing to invest again. Right now, since I can't own my land in SL or anything else in it, I have ZERO reason to pay 1$ -- never mind the thousands of dollars annually it takes to own a single island. You have grossly misunderstood that your customer base is predominately here for recreational purposes, and you've done everything imaginable to drive the fun out of SL. You've forgotten what brought YOU into SL to begin with and what fun you used to have. Now that we can't gamble or drink or drive wildly or shoot playguns at each other or dance/speak provocatively on the mainland anymore, just what do you expect us to do here in exchange for our massive amounts of cash? 1: Lower prices to increase land sales. 2: allow prims up to 100m to be made by premiums to drive up premium accounts. 3: create 512mx512m standalone islands for racing. This is very easy to do and will sell like hotcakes. 4: restore ownership of things in SL - just like land bought in Montana can't be taken out of the state, neither can land (or anything else) be taken out of SL. 5: initiate a "Welcome Home" program where people who abandoned islands can restart them again with no fee and no cost - just pick up the tier at the new lower rate once more and all is good. 6: create a G continent for the teens to be restricted to. Adults may enter it so educational ventures can work, but the teens may not enter the main grid. The bill-paying adults then are less worried about staying. All these things can be implemented in less than a month. It's nobody's fault but LL's if you dry out this cash cow and get no more milk from it.